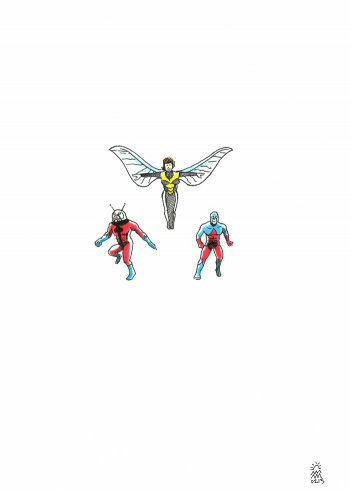 Antman, The Wasp and The Atom Sketch. Antman, The Wasp and The Atom. Original hand drawn sketch. Size: A5 (approx). Various Markers on paper. Signed. Antman, The Wasp and The Atom.